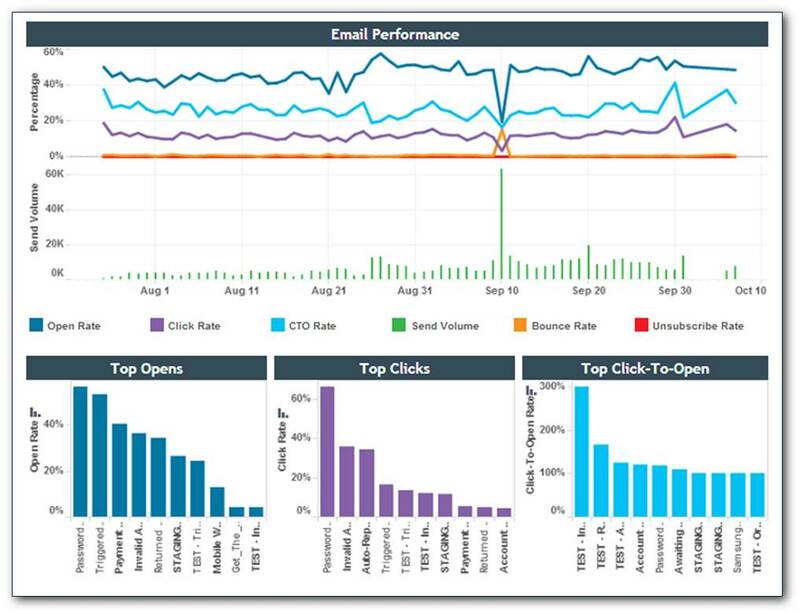 If you’re an email marketer, you’re into analytics. You have to be. Email marketing offers up all kinds of data for analyzing, and it’s only by doing so that you can improve your marketing and your email marketing ROI. But with all the variables of email marketing—and email reporting—how do you know you’re using the right analytics in the right way? And when you want to compare an email service provider, how will you know their reporting fits your needs? The answer to both questions is fairly straightforward: First off, know what you need and secondly, know how to evaluate an ESP’s capability. There are several reasons why analytics are critical to your email marketing, and why they factor into your ESP choice. Without the monitoring of your metrics, you can’t know how effective (or ineffective) your email campaigns are. Nor can you know what to change…or how. If you’re in the market for a new platform, you need to make sure you delve into the email reporting offered by each email service provider or Marketing Automation system you are considering. So…what should those analytics be? Your email reporting needs are specific to your business and therefore are determined by you, your email strategy and your business objectives. I can suggest some email analytics you might want to consider when shopping for a new ESP, especially if your business is growing in size and/or complexity and you will need to do more with analytics in the future. Compare the performance of different lists. Break out subscribers by attributes like region or postal code. Compare the past week to the past month, or the past week to the same week last year. See your open rates by time of day, day of week, and day of month. 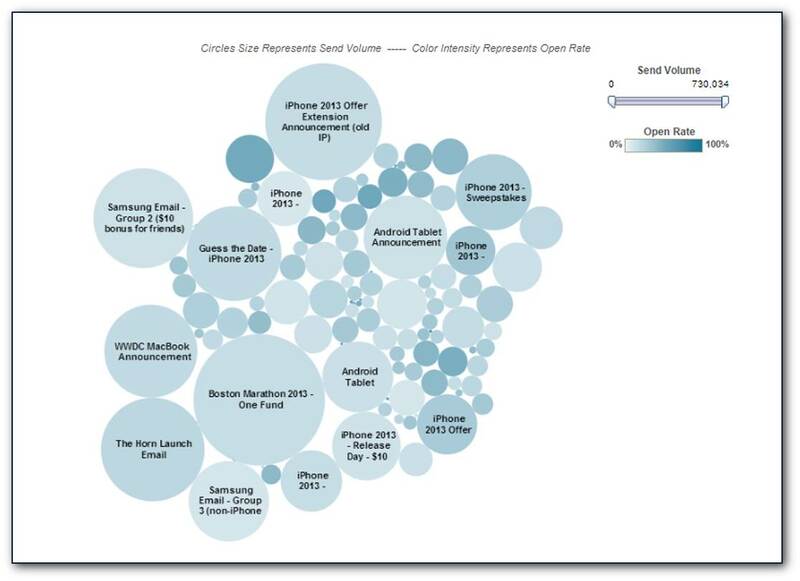 Compare your open rates to your send volume. Discover your best subject line length. This is only a sampling of the kinds of comparisons and analysis you might want to make. It is up to you and your team to really delve into what that email reporting should enable. Consider how shareable you need this data (the reports) to be. Do others in your organization need to know and understand the analytics? For example, are you tasked with generating reports for management with side-by-side comparisons? In other cases colleagues will be logging in to the platform independently. Once you’re clarified the definitions for each ESP’s metrics, you’ll be in a much better position to do an email service providers comparison—and ensure you’ll get the email campaign analytics you’re hoping for. Once you’ve determined the email reporting you want to have (and how shareable it must be), it’s time to make those factors criteria in your search for a new email service provider. The biggest question you’ll want to explore with any potential ESP is this one: Can you do your email analytics like you do your segmentation? Because you don’t want email reporting on your list as a whole. You want reporting on your segments too. Consider a company selling boots. If you’re using dynamic content so that one email campaign delivers a promotion for men’s boots to men, and a promotion for women’s boots to women, you want to be able to dig deeper than just open rate for the whole population. You’d probably want to know how the men’s list compared to the women’s list, for example. You could gain a lot of insight into these groups, but you won’t know if you don’t have the kind of email campaign analytics that will let you do these kinds of comparisons. Those who open your emails are the ones who have the potential to be the most engaged. And those who don’t offer you an opportunity to re-engage. But if the email reporting is lacking, how will you know whom to target and how? You want to know who opened and what they clicked so you can react to that behavior. This is how you dive into subscriber behavior and trends. This is how you learn what you need to know to engage your audiences. Or perhaps you saw a fabulous click-through rate of 13%. You want to know not that 13% of the list clicked through on a link. You want to know who clicked and on which link. Did 8% of those who clicked do so on the unsubscribe button? Did all 13% click on one call to action and not another? This are the metrics you need to know. Without sophisticated analytics like these, you might as well be advertising on a billboard, because you’re missing out on all the data available to you that enables you to target, react and engage. What if your ESP doesn’t offer the email analytics you want? Maybe you’ve found the best email service provider for your business sans one feature: The email reporting is less than what you’ve determined you need. In that case an option is to see there’s a third-party solution that can enable the kind of email campaign analytics you envisioned. Ask the supplier of your Email marketing software. There might be and they might have experience in making an integration between the analytics and the ESP too. For example, ExactTarget users can use eMVision, a reporting tool based on Tableau Software, to dig deeper into their ExactTarget data. Your chosen ESP might have a similar analytics partner. It’s worth asking because if you don’t have the analytics, your email marketing will always fall short. Marco Marini is the CEO of ClickMail Marketing, a vendor-agnostic reseller of email marketing solutions. Marco is an acknowledged expert in e-marketing with over 15 years of experience in the field. Before taking over as CEO at ClickMail, he was the VP of Marketing & Operations. Marco has also held key marketing positions with CyberSource, eHealthInsurance, DoveBid and IBM Canada. Which ESP can best handle your loyalty program? What email reporting do you need from your ESP?